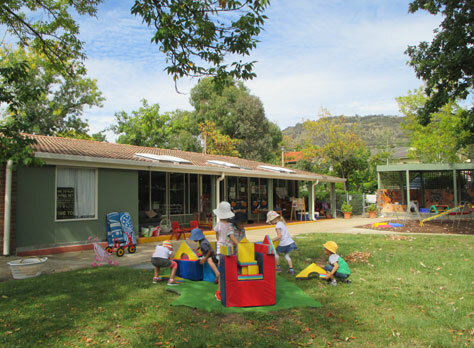 Pearce Preschool offers a welcoming, friendly environment in which each child is embraced as an individual, a learner as part of a group and as a valuable part of the preschool community. The physical indoor and outdoor learning environments provide opportunities for investigation through a play-based learning approach. Children are invited to create, explore, express imagine and learn in an aesthetically pleasing sustainable environment. Children are offered a broad range of educational opportunities and experiences that enrich their social, emotional, physical, intellectual and creative abilities, with a specific emphais on the visual arts. Intentional social and emotional skills needed for successful lifelong learning are taught. Each child's uniqueness and individuality is fostered as they contribute to developing a program which is diverse, vibrant and reflects their individual learning and developmental needs. A "Focus child System" is used by educators to observe, plan, program and reflect on individuals and groups of children. The program exhibits the fundamental characteristics of "Belonging, Being and Becoming - The Early Years Learning Framework for Australia".